In Istanbul to catch the Chinese Cultural Year Arts Festival, I happen upon a concert by a pianist called Li. From the publicity it seemed that this was yet another improbably fantastic Chinese wunderkind whose prowess on the keys was the musical equivalent of walking on the water. 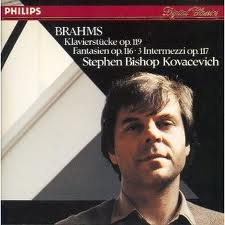 Turning up to hear this latest phenomenon I was, indeed, duly impressed with the technical brilliance and often remarkable sensitivity this young man brought to his programme of mainly Chopin. Except, of course, he was not the latest wunderkind from China at all but a (relatively) old hand at the game. 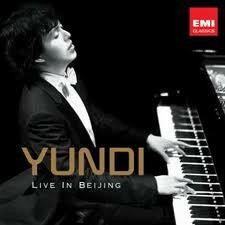 For some reason, the pianist known as Yundi to his record label and to a myriad pianophiles in the west, seems to be Li in eastern Europe and Li Yundi to the Chinese promoters. What’s in a name? 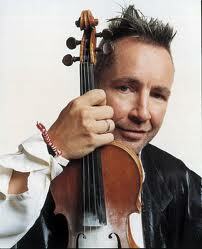 And, of course, Nigel Kennedy’s various attempts to reinvent himself have, at times, thrown up, beyond the funny hair cut, the cosmetic acne, the studied incoherence and the funny voice, the single moniker Kennedy. I’m not sure whether he still attempts to go under it, but the world will always call him Nigel Kennedy - or Nige for short - and it doesn’t make a bit of difference. He still plays the violin extraordinarily well. For the sake of my computer which invariably asks me to reconsider repetition when I write of Lang Lang (there it goes again – that irritating wiggly red line), I’d love it if a certain other Chinese pianist adopted the single name idea, but otherwise it all seems a pointless marketing gimmick to me. The Singer Formerly Known as Prince started it all off, but why the publicists at record labels seem to think this idea can pass on to classical musicians is beyond me. Why on earth would anyone possibly think that knocking off the Li and leaving Yundi makes any difference? 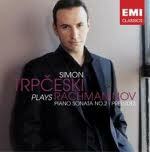 If his name was horribly unpronounceable (let’s take Trpčeski as an example), there might be an excuse; but I don’t see any sign of a pianist reinventing himself as Simply Simon. 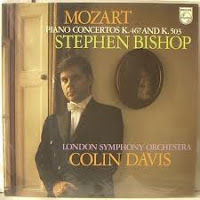 Indeed, there have been cases of pianists with normal sorts of names actively seeking the unpronounceable to reinvent their careers (for Bishop read Kovacevich) But Li hardly foxes even the most distant linguistic group from the Chinese, and certainly causes no problems to the Americans, Europeans, Koreans and Japanese who snap up most classical CDs around the world. My suspicion is that these attempts to re-invent have their roots in the change of record label. Possibly EMI feel that buyers of their discs are sufficiently daft that they will not associate their artist with a similar looking one on the DG label. Are classical music aficionados that daft? Yes! I was when I never connected Li to Yundi in Istanbul (or Constantinople as I was brought up to call it until it, too, reinvented itself) so perhaps there’s something to it. 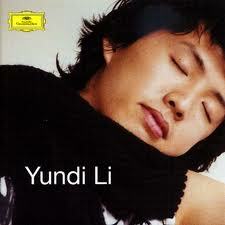 What I can report is that whether it’s Yundi Li, Yundi, Li or Li Yundi, there’s not a scrap of difference in the sound. I, for one, am glad I heard him because, however you package the name, in classical music, what really matters is the performance, and if more marketing and publicity people grasped that, they could not only save themselves a lot of money but restore to the classical music world some sense of the decorum its rapidly losing at the hands of ill-informed publicists who feel that marketing a pianist is no different from marketing a packet of cigarettes – if, perhaps, marginally better for the health of the consumers. My personal favourite is the transformation and rebranding of American David Buechner as Sarah Davis Buechner. From the dashing young machismo-laden Juilliard-trained piano virtuoso and winner in Bachauer/ Tchaikovsky/ Sydney competitions to the feisty and still-virtuosic middle-aged lady she is now. She is proud to have been the only classical musician of note to undergo gender reassignment surgery (besides Walter/Wendy Carlos of the Moog). Her keen sense of humour goes far enough to signing all her CD recordings pre-surgery as David, and post surgery recordings as Sarah. I'm not sure how many people who went to her wonderful recital at YST knew of this transformation, at least not the innocent person who remarked that "she played Rhapsody in Blue like a man!". This is just excellent Dr. Marc. I was watching a video of Yundi Li playing La Campenella on YouTube, and simply put, it was outrageous! Hilarious even if you will! The video simply diverts your mind from the music, and that classical quality of it all is lost. 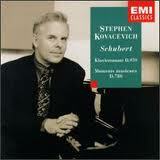 For instance, one listens attentively when Rubinstein or Ferber is playing. But this!Let me share with you the link in case you haven't seen it. I very much appreciate Yundi Li's performance, it's quite brilliant, but just like you said when you try to put a label on it, and add a video that has no relevance to it, it is simply unspeakable!